Ships tomorrow if you order in the next 20 hours 34 minutes. Auto Ship & Earn + 121 Points What's this? 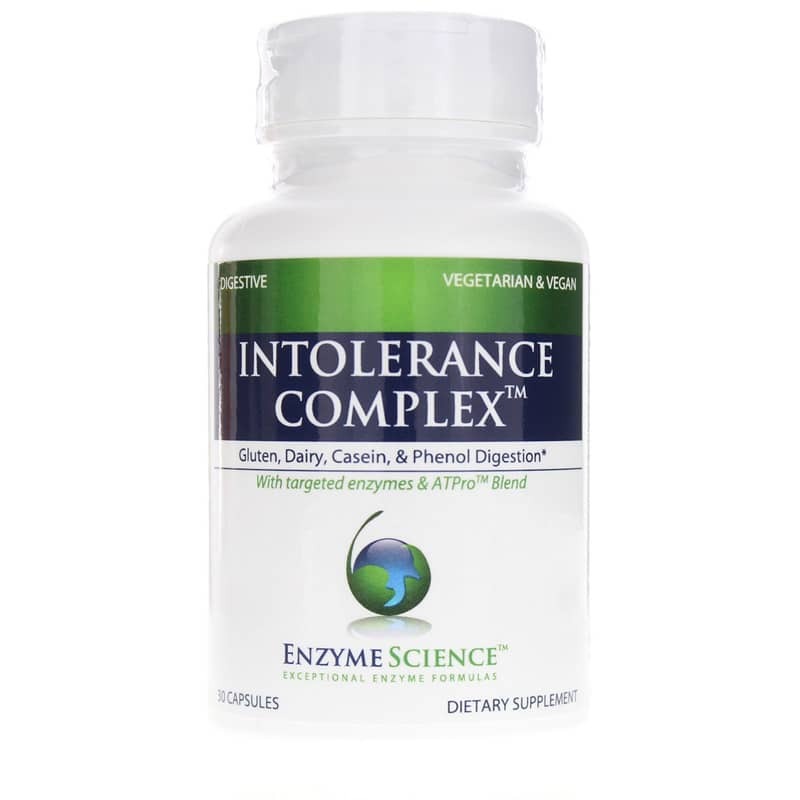 Intolerance Complex from Enzyme Science is a full spectrum digestive enzyme formula to address multiple food intolerances. A combination of enzymes are utilized to help to reduce the common discomforts often associated with these foods while helping to fully benefit from their nutritional value. ATPro is a blend of critical nutrients that provide ATP (Adenosine-5'-Triphosphate) and enhance ATP production. 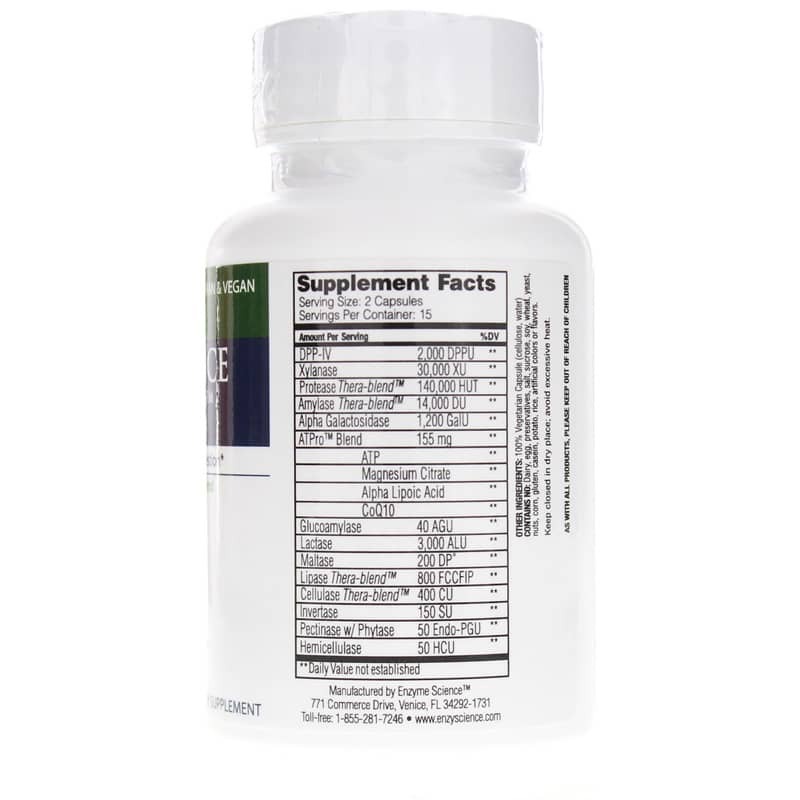 This coenzyme is essential for nutrient absorption. 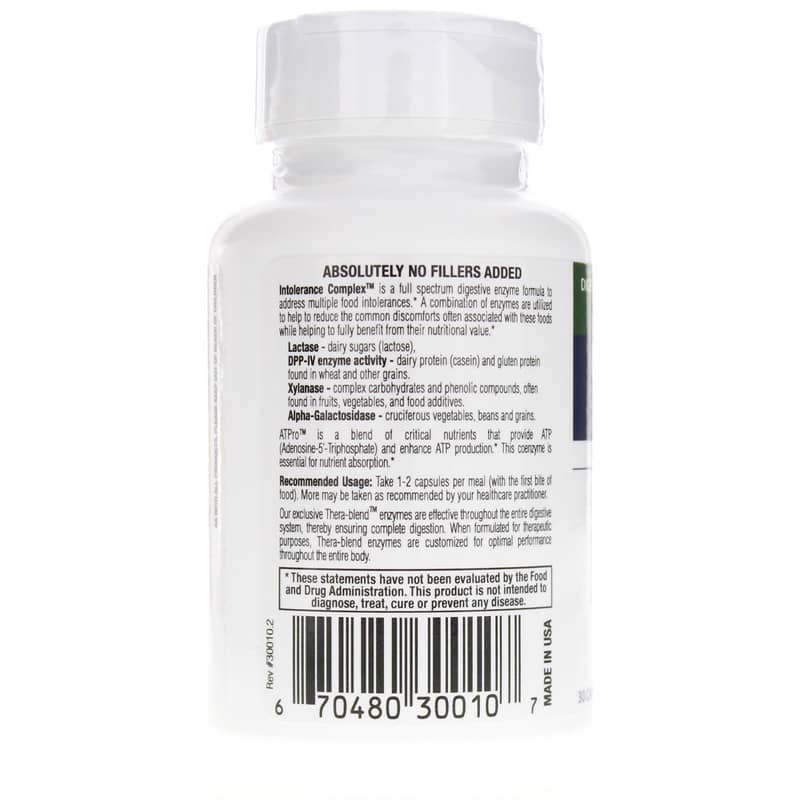 Other Ingredients: 100% vegetarian capsule (cellulose, water). Contains NO: dairy, egg, preservatives, salt, sucrose, soy, wheat, yeast, nuts, corn, gluten, casein, potato, rice, artificial colors or flavors. Adults: Take 1 to 2 capsules per meal with the first bite of food. More may be taken as recommended by a healthcare professional.